Mehmet Polat is an accomplished ud player, composer, ensemble leader and soloist who tours internationally. Hoera!! Mehmet Polat - Mehmet Polat Trio USA Tour is geslaagd! Dankzij 5 donaties die samen € 4.250 opleverden voor Mehmet Polat. 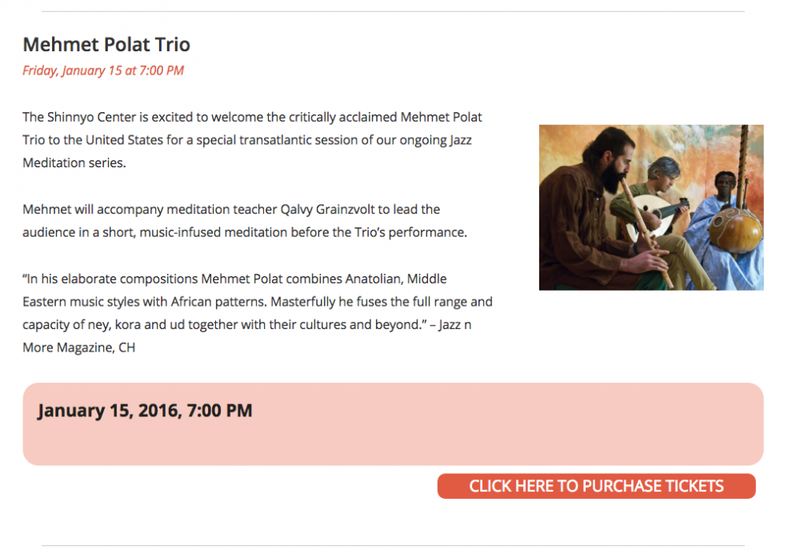 Support The Mehmet Polat Trio for for the US tour in January 2016. 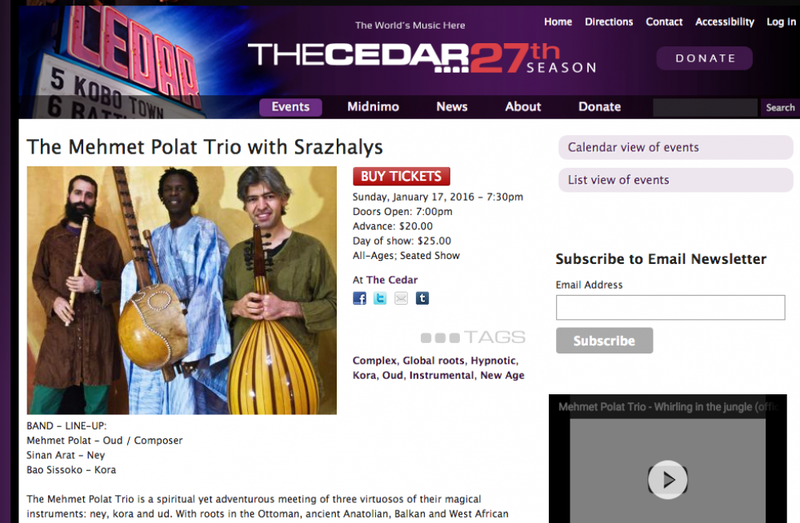 The Mehmet Polat Trio is a spiritual yet adventurous meeting of three virtuosos of magical instruments: ney, kora and ud. With roots in the Ottoman, ancient Anatolian, Balkan and West African music traditions, the trio welcomes listeners with its musical authenticity. The original compositions are colored by daring improvisations and grooves, presented in an atmosphere of chamber music. We believe that music can be a great language which might be spoken from heart to heart. And for a better world we need more love. As a contribution for spreading the love, we do it through the music which is coming from our hearts. 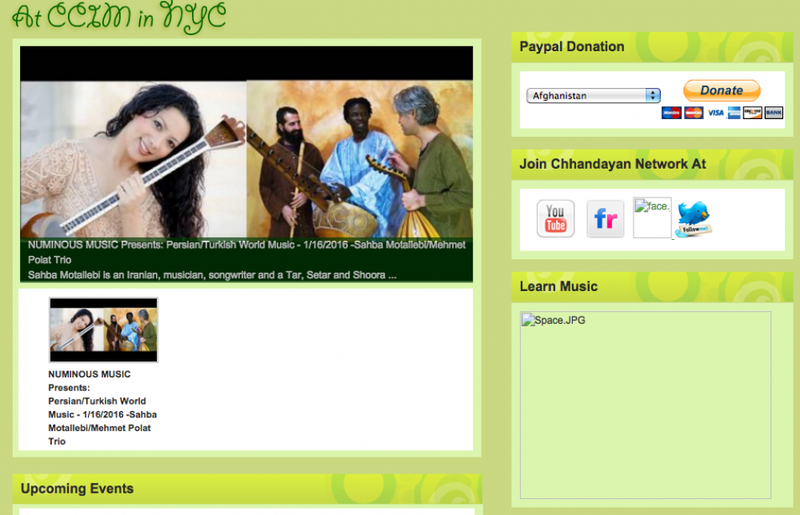 With that awareness and inspiration, we want to spread our music to more folks from the world. We will be grateful and appreciate any contribution that you would do. And it would make it easier for us to reach out to our audience there in the US. 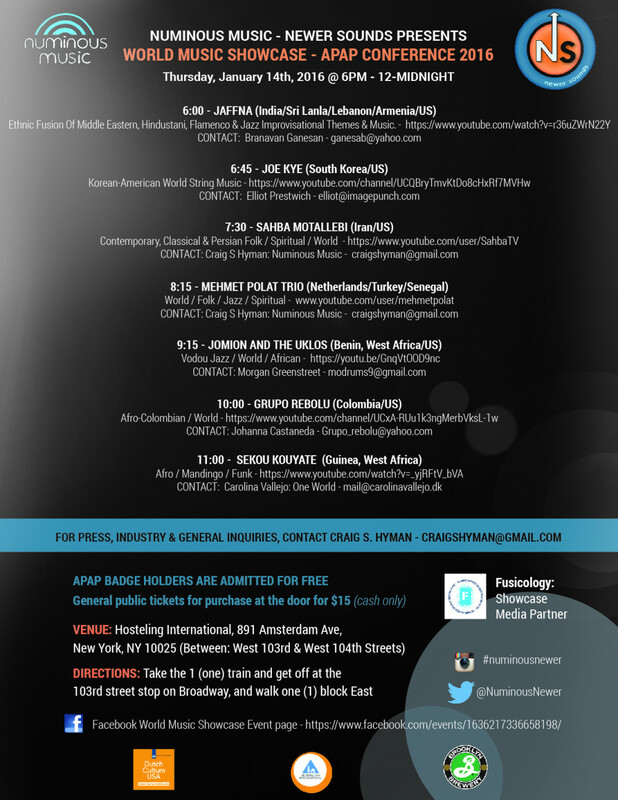 This tour is very important for us to do, especially because of our showcase concert at APAP Conference, this is a lifetime chance that every musician and band might want to have. After then, we have 4 other public concerts in great locations, all are confirmed and officially announced with lots of advertisement. All confirmed and officially announced! 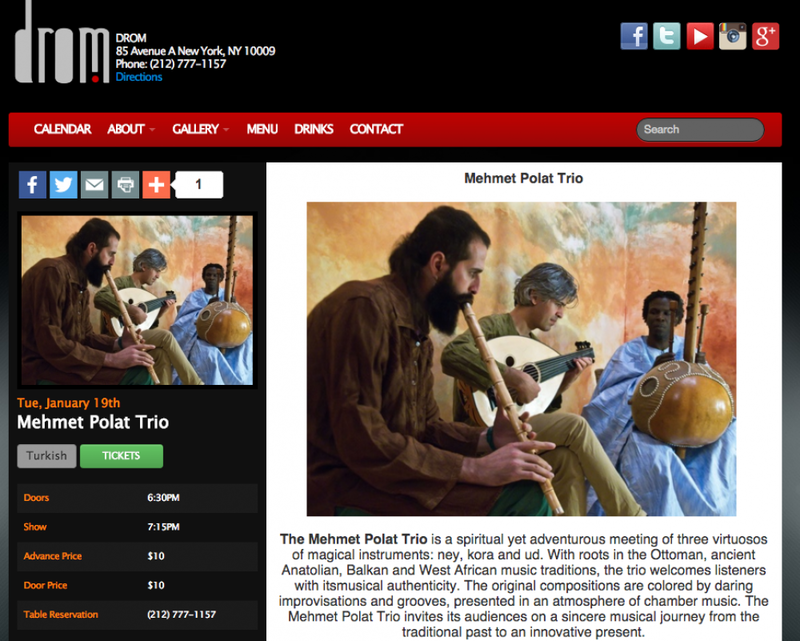 As many reviews declare, The Mehmet Polat Trio is more than a new combination of Turkish and African instruments. Polat thinks that music playing is a sincere and direct connection from heart to heart. In the music of the Trio, Polat fuses his artistic perfectionism with his ongoing spiritual paths, which appear as many deep expressions and many colors in his compositions. Polat's compositions are mostly in Jazz forms with lots of free space for each musician to improvise in. With a wide range of tone, makam from the Classic Turkish Music and the rhythm choices from Turkey, Balkan and World infused with African interpretation, these musicians are pushing their boundaries and moving forward in fusing the sound of this unique blend of instruments and the musical traditions from which they originate. The Mehmet Polat Trio is currently preparing to record their second album 'Ask Your Heart', expected to be released in 2016. Goal of this campaign is collecting the money which will be used for our expenses on flight tickets and hotels. About Mehmet Polat, the band leader and composer. Mehmet Polat is an accomplished ud player, composer, ensemble leader and soloist who tours internationally. From Africa to India, Persia to the Balkans, Contemporary to Jazz, he has been combining various musical genres with his Alevi Spiritual, Anatolian Folk and Ottoman classical music background. Through his improvisations, compositions and his own take on a variety of musical styles, Mehmet is constantly searching for new musical paths and inspiration. After many years of research, he invented his own technique to advance beyond the limitations of his traditional instrument. With this new left hand technique, he can play more advanced and modern pieces. He has also designed an ud with two extra bass strings to broaden the range and function of his instrument. Mehmet has been based in Amsterdam since 2007. Mehmet Polat is een vakkundige ud speler, componist, ensemble leider en solist die inmiddels vele internationale tours op zijn naam heeft staan. Van Afrika tot India, Perzië tot de Balkan, van modern tot jazz, hij combineert verschillende muziekstijlen met zijn Alevi spirituele, Anatolische volks- en Ottomaans klassieke muziekachtergrond. Via improvisatie, eigen composities en zijn blik op de verscheidenheid van muziekstijlen is Mehmet constant op zoek naar nieuwe muzikale paden en inspiratie. Na vele jaren van onderzoek, heeft hij een eigen techniek ontwikkeld om verder te kunnen kijken dan de beperkingen van zijn eens zo traditionele instrument. Met zijn nieuwe techniek voor de linkerhand speelt hij meer moderne en verder ontwikkelde muziekstukken. Ook heeft hij een eigen ud ontwikkeld met twee extra bassnaren om de reikwijdte en functie van zijn instrument te vergroten. Mehmet woont sinds 2007 in Amsterdam. Het Mehmet Polat Trio speelt prachtige, integere muziek. Fantastisch, dat ze hiermee de oversteek naar de VS kunnen maken. steun voor de jonge talenten..
We can sign and send you the debut album Mehmet Polat Trio - Next Spring. Thank you for your donation, we appreciate it! We can have you in our guest list during one of our future concerts. We can send also one debut album Mehmet Polat Trio - Next Spring. You can get one sessions of ud lesson from Mehmet Polat in Amsterdam, 2 tickets for one of the future concerts, 2 albums Mehmet Polat Trio - Next Spring.